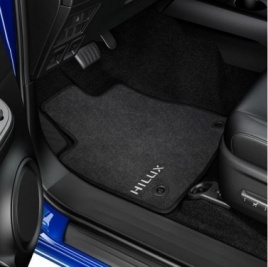 Genuine Toyota Hilux 2x Carpet Floor Mats 520g (2015-2017) PW2100K023. Hard wearing black coloured textile mats providing dependable protection against mud and grime. For the front row.